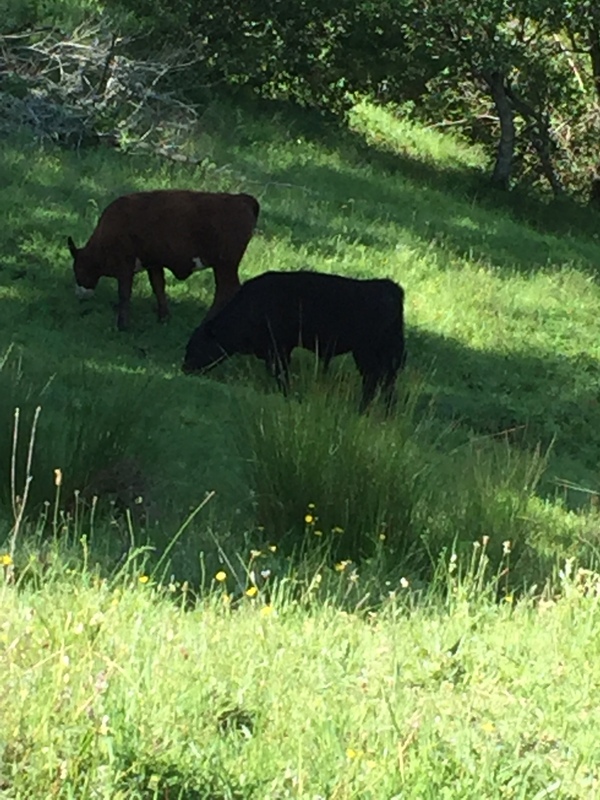 Some cows, composing in the interstitial moment. “It’s true that a poem can be attempted in brief interstitial moments, pulled out of the pocket and worked on while waiting for a bus or riding a train or while children nap or while waiting for a new batch of clerical work or blood samples to come in. But only certain kinds of poems are amenable to these conditions,” Adrienne Rich wrote in the early nineteen-nineties in her brief essay “How does a poet put bread on the table?” She goes on to draw a distinction between types of “free” time: the infrequent gulps of unoccupied time amid obligations versus the time that has no pressing frame around it, the time made of the absence of all obligations but the one the poet makes to her art. I’ve taken more than a year’s hiatus from writing and posting here, in part because until a few months ago, I was job searching and felt I couldn’t post publicly about that process. Going forward, I want to address the search process while examining what it’s meant for my and others’ writing, but those future posts will be in retrospect. Now that I find myself in a job I like, time crops up like wildflowers: the time I spent feverishly writing cover letters, the time I spent stressing about how much I wanted to leave my old job, the time spent unraveling myself from those tensions: it’s all been returned to me as a blank page. Just part of the day for me to do with as I will. That’s the psychic exercise I find myself embarking upon, now that I’m free of the invented urgencies of my old life. To rail against a job I disliked seemed to take priority over the centering of my own attention, over the will to jettison busy-ness in favor of my own work. Now I find myself tasked with making my way back to the kind of time that is suspended in time, and getting rid of the feeling that I don’t deserve that time, that I ought to be “busy” or worse, “relaxing,” instead. Actual bubbles in a glass – suspensions of air in water — of the kind that Rich’s uninterrupted poet can contemplate, are formed at activation points on the inner surfaces of their containers. The activation points of our time-within-time bubbles, especially when we divide the day into job and not-job, are necessarily those interstitial moments Rich describes: putting an ingredient for writing down on paper in the time waiting for a train, or cooking dinner, can mean the difference between feeling shiftless and feeling fluent when we do have an open expanse of time: a day off, or a partner away on a trip, or a long city walk to ourselves. “Only certain kinds of poems” can emerge, writes Rich, during the caught moment, the fleeting second when no one demands our attention – or during which we make ourselves temporarily unavailable. Fine: water takes the shape of its container, a poem takes the shape of the moment it’s made in. There’s the story of Williams making poems on his prescription pads. Here, Rich subtly builds on Woolf: a woman – she is pointedly speaking of women writers – needs not only the privacy and means to write, she needs the time. Rich goes one step further than Woolf, who argued that money for women meant privacy, meant freedom of speech: for the writers Rich knows, who don’t have to contend with the opinions of benefactors or inheritances, a little money translates directly into time. But rather than embrace Rich’s suggestion that either we have the luxury of the kinds of poems that require long hours gazing at wood grain or we do not, that either capitalism squashes us into a corner where our freedom is compromised or it does not, I’d rather accept that the writing we do in the moments between our obligations will end up keeping our calendars for us, rather than existing only when we manage to banish the calendar. The working artist makes a long moment of many short ones; composes not the poem out of time, but the poem as time. This entry was posted in Uncategorized and tagged Adrienne Rich, capitalism, poetry, work-life balance by truncatedbiographer. Bookmark the permalink.